Description Printed from the glass plate negative. See 662b. Photograph taken by Will Bickner. 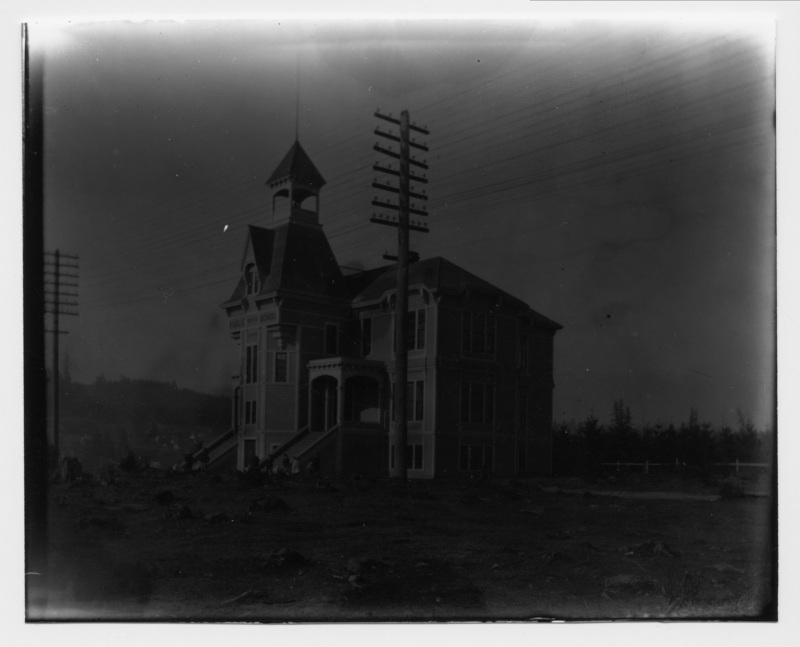 Written on negative sleeve: Public School (Oswego) 1893; School House; Oswego School House; 1893.